At the Portuguese festival in Petersham, NSW, the local council had a stall, advertising events and giving out packets of seeds. At the time we were living in a house with a sun baked courtyard, scant shade and ducted air conditioning. The house was not well insulated, this combined with floor to ceiling glass, resulted in sweltering temperatures inside during the Summer months. The temptation of switching on the aircon and not venturing outside was too great. Thankfully, we moved to a house with shaded windows on four sides which provide cross ventilation and a garden that catches the eastern sun at the front and the hot western heat at the back overlooked by a large shaded deck. Since moving into the house just over a year ago we have spent more time outside than in any of our previous homes. I enjoy cooking with ingredients grown in the garden, however, herbs are the limit of my foray into horticulture for the time being. I was pleasantly surprised when I came across the seeds and realised that they were not all chili peppers, as I first thought. My partner in his usual encouraging way bought me seed raising mix and trays. I set about planting basil; the first time I have grown plants from seed since primary school. 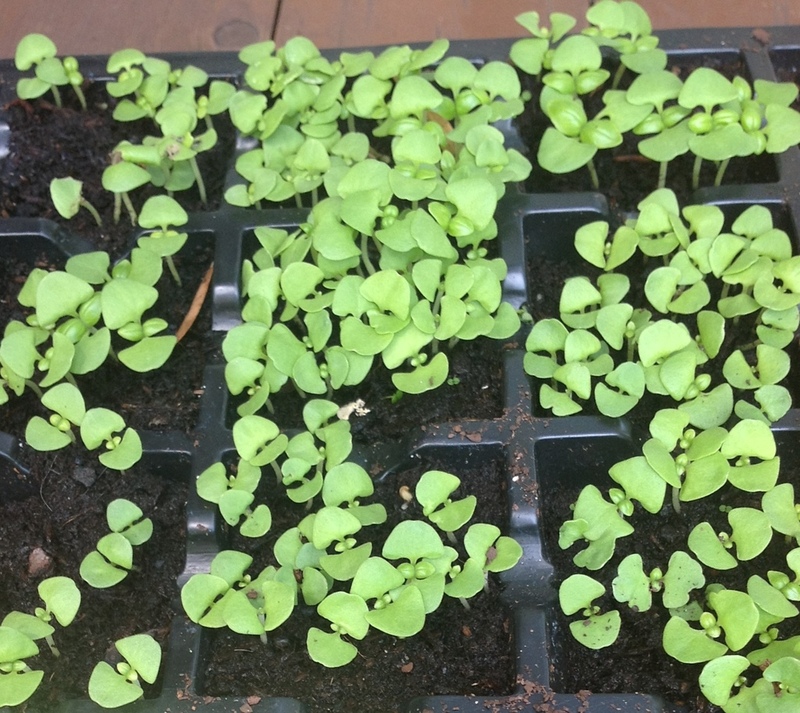 I have experienced such good feelings about sewing the seeds, watching their progress, imagining how sweet the basil taste with tomatoes, salt and olive oil and working out how to maximise the number of people who will receive a basil plant gift. That is SO wonderful to hear! I know how rewarding it can be… how much more grounded I feel having moved to a place where I enjoy being outdoors much more often than the last place we lived. I didn’t have a chance to really get my herbs going after getting here, but am very much looking forward to doing so. Enjoy the basil! I am a novice when it comes to growing stuff to eat. This year I’m looking forward to harvesting lemons, limes and olives. My only tip along with pruning is to fertilize and not give up. Thank you for your comments. You have inspired me. We just moved to a new house and mostly everything growing here has been neglected. There are lots of fruit trees that need pruning and I am definitely going to grow some herbs. What a great start, mature fruit trees and plants, the next year will be a voyage of discovery for you, while you work out what to keep.